The Boston Marathon is coming up soon on April 15th (tax day). If you’ve ever run a marathon, then you know that Boston is one of the toughest. Just qualifying to get in is no small feat. And if you’ve ever been to Boston, then you know it’s home to Dunkin’. Previously known as Dunkin’ Donuts. Apparently, Boston runs on Dunkin’ too. 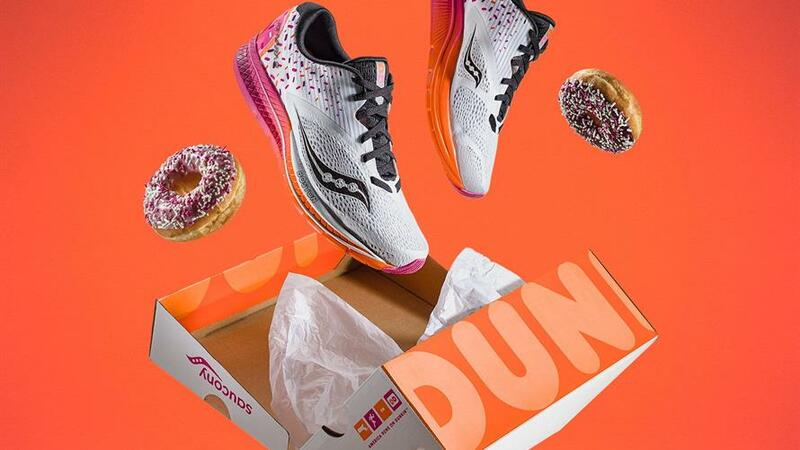 Saucony (as in the running shoe brand) just released it’s second annual collaboration with Dunkin’ in time for the Boston Marathon. Last year’s line sold out almost immediately, so yes why not do it again. Runners run over and over again, so why shouldn’t this collab run over and over again. It’s amazing! If you’re a brand fan, then it’s a no brainer. And chances are, if you’re from Boston then you’re a brand fan. Just ask Ben Affleck. Brand devotion … with another brand leveraging it. PS - BTW, I’ve never run the Boston Marathon although I did do New York as a 40th birthday present to myself. One and done!